Oftentimes, many CAD vendors use their own representation of 3D geometry. Problem arise when they wish to export their data to other 3rd party tools for further analysis. This is an example of my STEP [STandardized Exchange of Product] work [see www.step.org]. See Jon Owen's book, An Introduction to STEP. I wrote software to convert Constructive Solid Geometry (a description of 3D CAD using solid primitives (rectangular solid, cylinder, sphere) and operations on them [union, intersection and subtraction]) to a Facetted Boundary Representation (describing the geometry [point, line, plane] and topology [vertex, edge, loop, face, shell]) using Euler Boolean operations. See Mantyla , "An Introduction to Solid Modelling" and Mortenson's "Geometric Modeling", and several papers by Greyer and Braid, (see Braid, Hillyard, Stroud "Stepwise construction of polyhedral in geometric modeling", Mathematical methods in computer graphics and design, p123-141 AP, London, 1980), and www.spatial.com's ACIS documentation for more details. Here is the class hierarchy for my project. on the next scene, "Provnair Series" select "Draw Part"
click the icon of the floppy, 2nd row, third from last. (Make sure that you chose the first pull down selection STEP Faceted *.stp). It takes a while for the file to appear. You should get a output file like this. Now you need to be able to read a STEP formatted file. 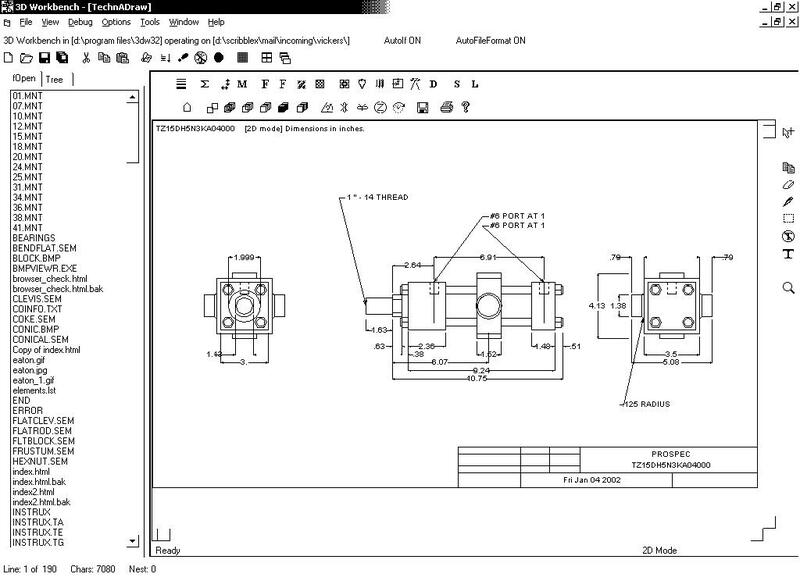 This means that you need to a CAD STEP viewer like SolidEdge, SolidWorks, Catia, AutoCAD. Download the AutoVue viewer from http://www.cimmetry.com ! Another tool, OpenCascade is a free CAD modeler for non-commercial work. , CSG step format and wireframe. and StepAdvanced.cpp, which are two typical class files. Here are my source and ccdoc files zipped up.